As a self-proclaimed “brown thumb gardener” (somewhere between green and black), I am always looking for low-maintenance gardening tips and tricks to make my greenery look—and stay looking—great with little care. That is why I’ve compiled this list of plants and flowers that are as hardy as they are pretty, and perfect for fiberglass flower boxes. 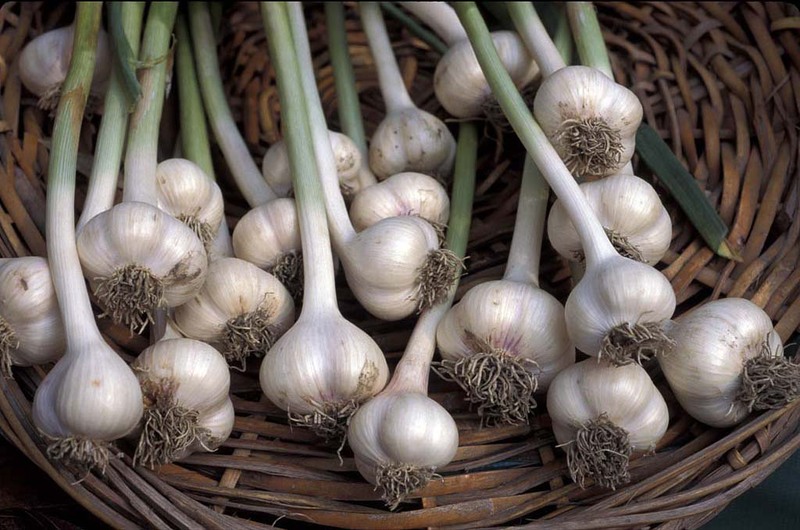 Are you searching for a simple solution for keeping your plants healthy? By using self-watering planters, you do not have to worry about regular watering. You simply fill the self-watering reservoirs for window boxes and your plants take care of the rest – remaining hydrated weeks at a time, depending on weather conditions. 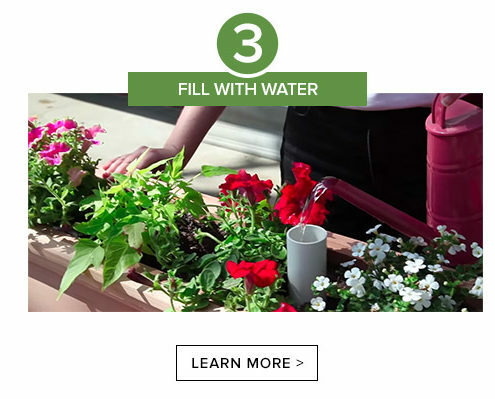 Thanks to this easy-to-use container irrigation setup, you no longer need a green thumb to maintain your plant life. 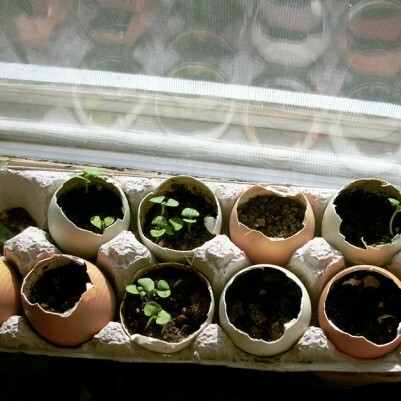 Read on to learn how to make DIY self-watering planters for residential or commercial use. What is a Self-Watering Reservoir? As the name implies, self-watering reservoirs for window boxes and planters allow your plants to absorb water as needed. They are essentially plastic containers with a tube extending from the top. 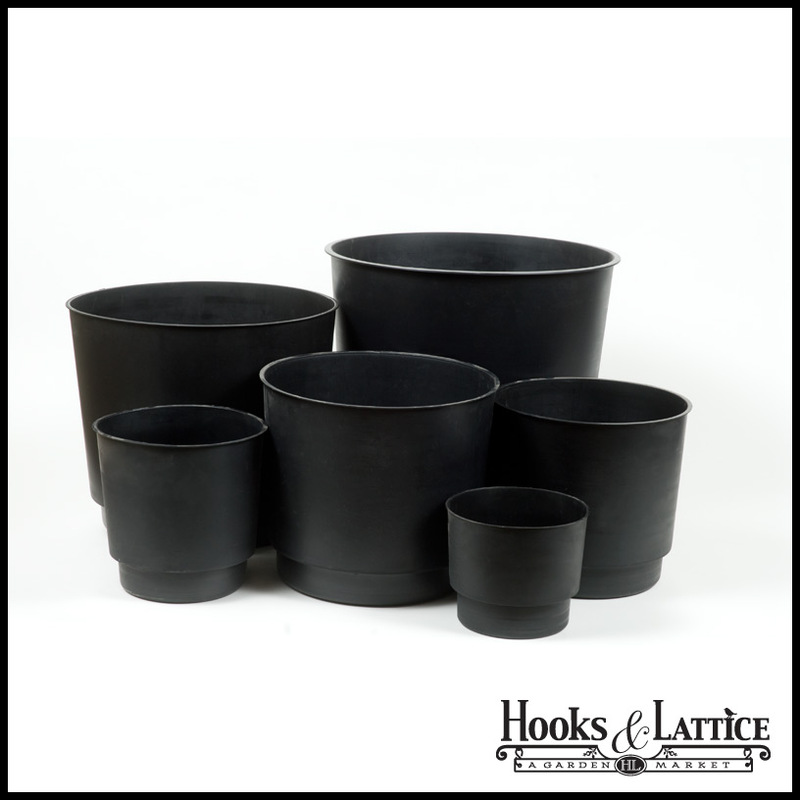 You can find them in a wide selection of sizes and shapes, to accommodate any planter. This includes our 36x8x3-inch rectangular self-watering reservoir, which fits rectangular planters. For a large square planter, we have a 24x24x3-inch reservoir – along with dozens of other options, including custom reservoirs to fit your planter. 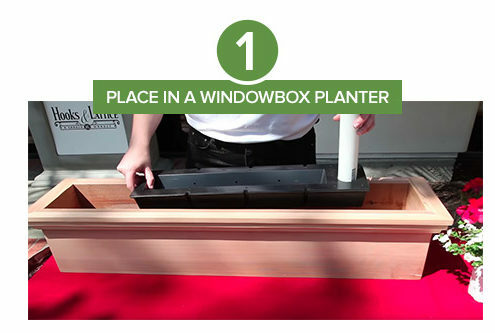 In this educational container gardening video, Claire covers how to make any window box planter self-watering in just minutes. Click to watch or shop planter box reservoirs online. How Do You Use Self-Watering Planters? Self-watering planters are incredibly easy to use. They also ensure that your plants do not receive too much or too little water. You just need to choose the right size. Plants will wick moisture from the surrounding 9 inches of soil, depending on the plan and planter size. So, your reservoir should be no more than 18-inches shorter than the length of your planter, again proportional relative to size. 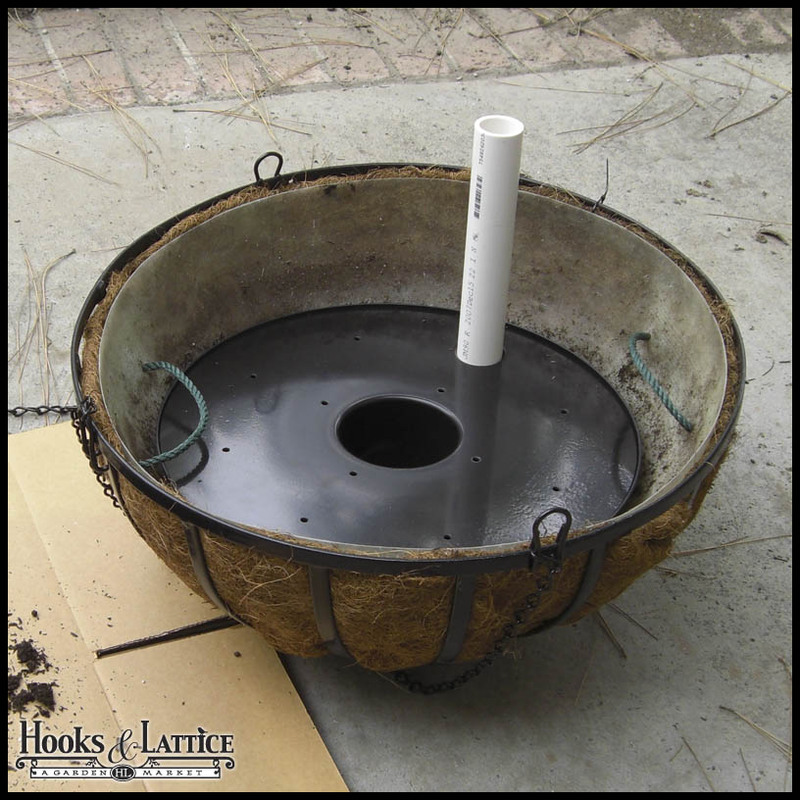 With your reservoir in place, you can begin adding soil. As you add soil, tamp it down, while avoiding packing too firmly. 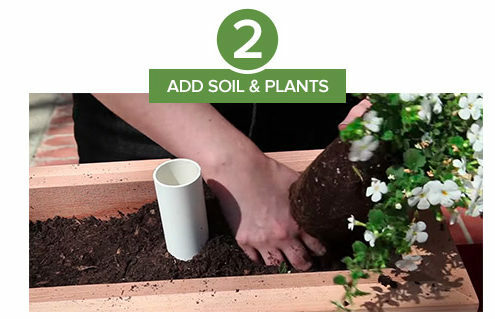 Make sure that you allow the reservoir tube to extend from the surface of your soil. Once you add soil, you can add plants as usual. You can hide the tube, but you should ensure that you can still easily pour water into it. The final step is to fill your reservoir with water. Pour water until you can see water in the tube. Through capillary action, your plants will absorb as much water as they need. You no longer have to deal with over or under-watering. Generally, a full reservoir should keep your plants hydrated for up to 2 weeks. This makes PlanterWell reservoirs great for residential and commercial use. 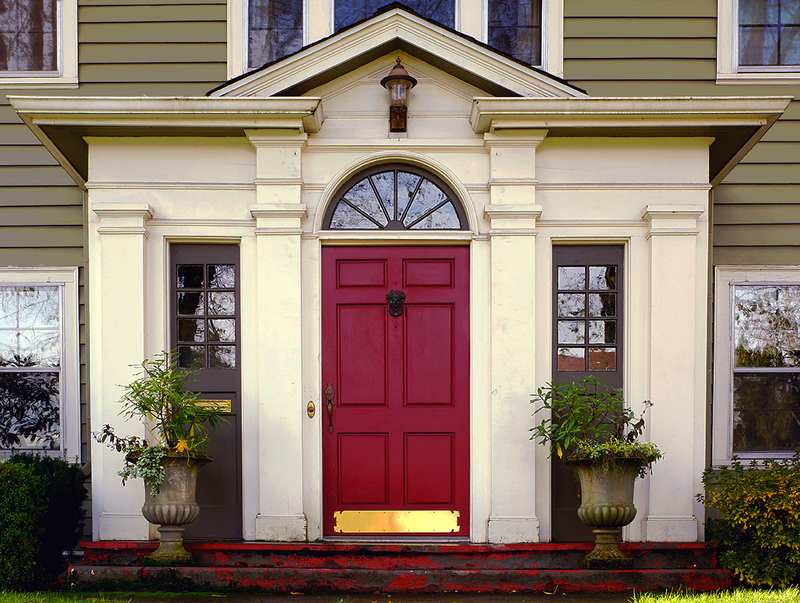 Conserve water and keep plants hydrated as needed while reducing maintenance time and increasing curb appeal with beautiful containers. You should be able to tell when the reservoir is empty by looking through the watering tube. Shining a light down the tube could help with this process. Much like you check the oil levels of your vehicle you can also use a dowel to measure water levels. You should refill your reservoir in the mornings before the plants begin to receive their sunlight for the day for best results. Caring for plants is not always easy. 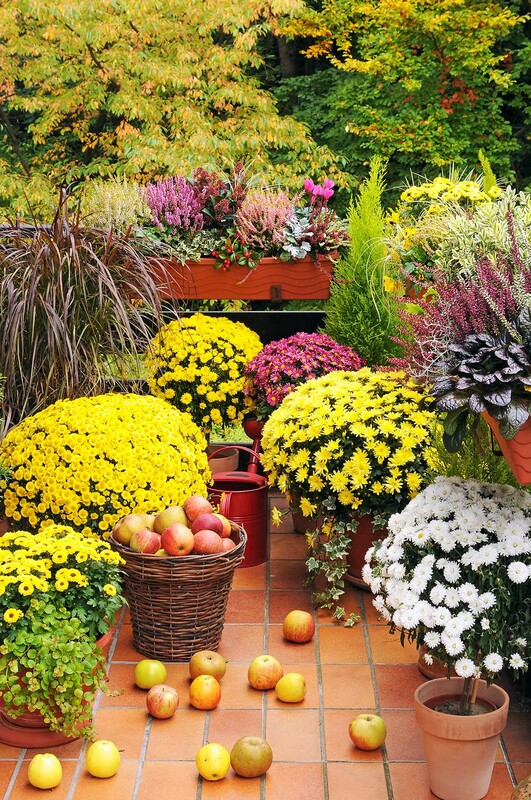 You may forget to water them regularly or you may not have the time to keep your plants watered. For this reason, many turn to the best-kept secret in container gardening – self-watering reservoirs. If you want to simplify the way you care for your plants, then consider using self-watering planters. You can start with a self-watering reservoir DIY project or purchase any of our durable pre-made reservoirs. You can easily add a self-watering system to any of your existing residential or commercial planters. Browse our selection of planter reservoirs to create your own self-watering garden. With spring right around the corner, it’s time to look past the dreary days of winter and towards the colorful days of spring flower gardens. Spring is a great time to grow a variety of plants, especially in window boxes. Instead of worrying about plants being eaten by roaming animals or destroyed by fierce storms, you can keep them close and secure and enjoy them right outside your window. 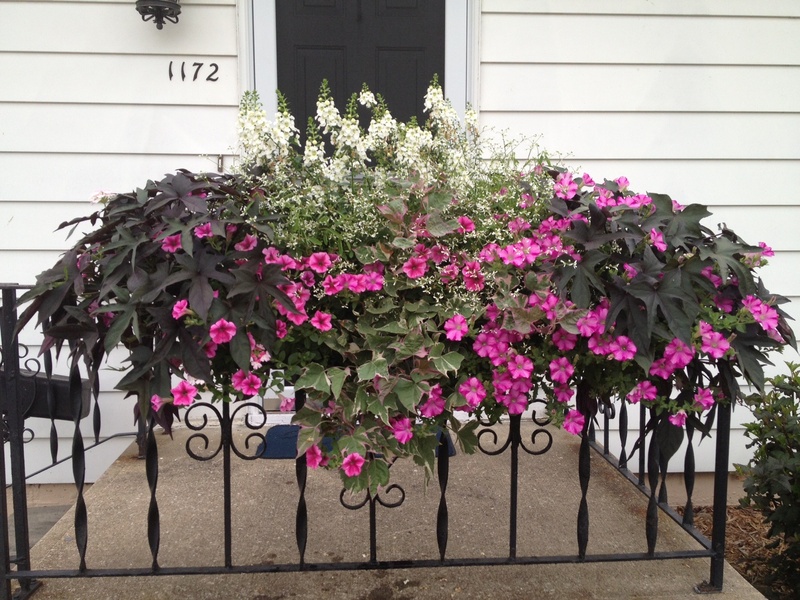 Window boxes are a fantastic way to spruce up your curb appeal and add a garden oasis in a small space. No matter your climate or style, here are some window box ideas. The general rule of thumb for planting a window box is to have plants at all different heights. Start with taller “thriller” plants in the back, them plant mid-sized “fillers” in the middle and hanging or low “spillers” in the front for a complete look. 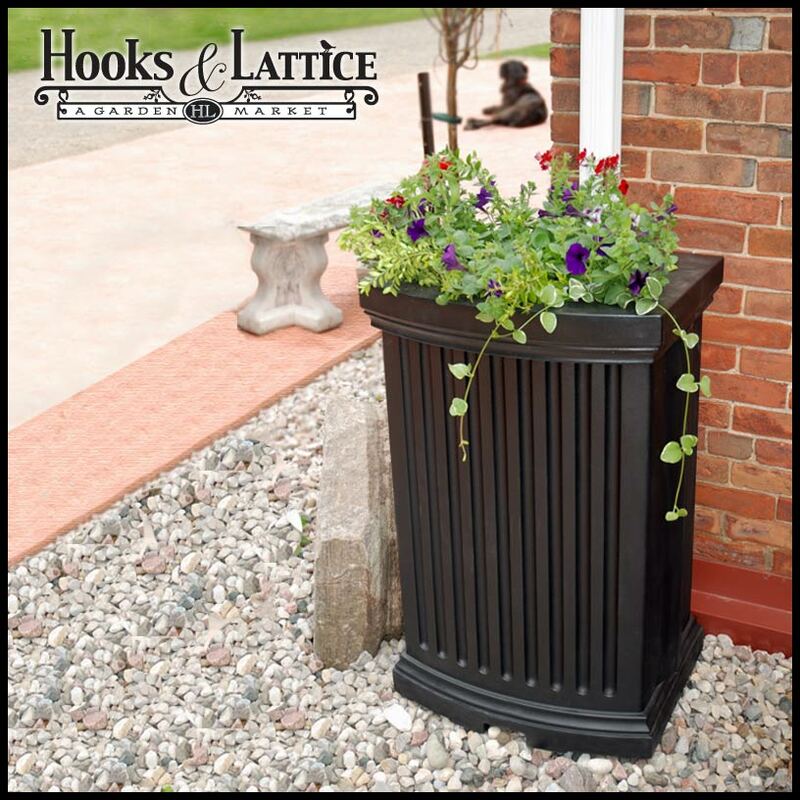 Search for flowers that fit these categories for a stunning flower box planter. Before deciding what flowers to plant, look up your area’s U.S. Department of Agriculture zone number. These numbers correspond with different plants to make sure you get plants that will survive and thrive in your climate. For cooler areas with zones 1-5, stick with hardy plants like pansies, primroses, and violas as your mid-size “fillers”. Crocuses are hardy flowers with beautiful purple flowers that make a great filler addition to a window box. Add height to your window box with grape hyacinth or sweet pea and use spiller plants like alyssum to hang over the window box. 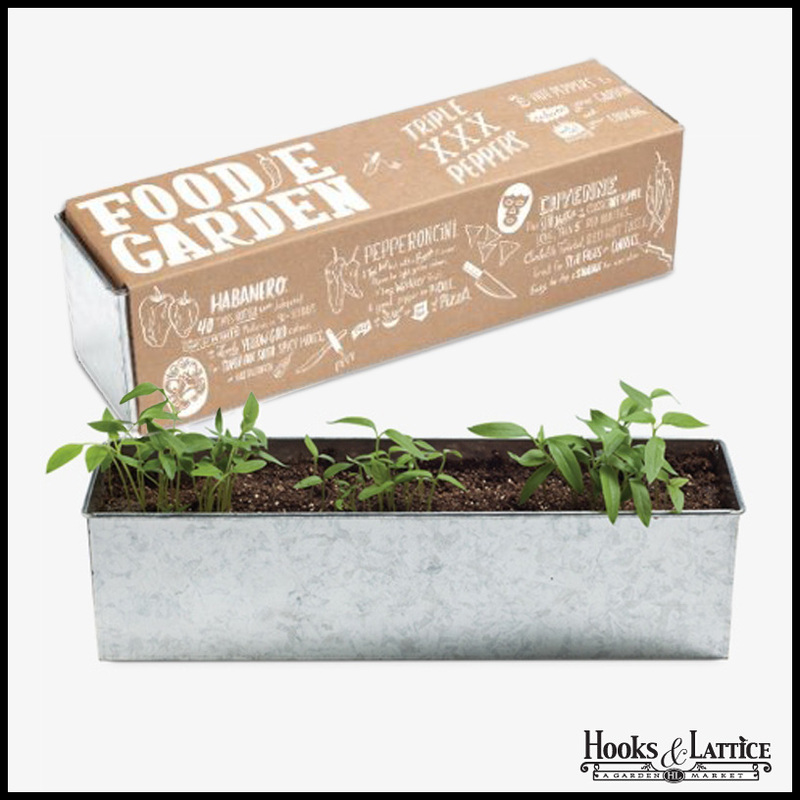 A sturdier window box like this lined option will keep your plants warm and safe. Gardeners in warmer climates tend to have a few more options when it comes to spring window box flowers. Classic flowers like daffodils and snapdragons make great tall thrillers, while bright dwarf irises, petunias, and verbena work well for the mid-level fillers. Anemones have stunning white flowers and do best in mild to warmer climates for an unexpected burst of white. Use spillers like creeping phlox for a burst of color or dusty miller or sweet potato vine for a more neutral color scheme. Look for a window box that accentuates the colors of your spring flowers and the style of your home, such as this wrought iron cage or other stylish metal window planter options. 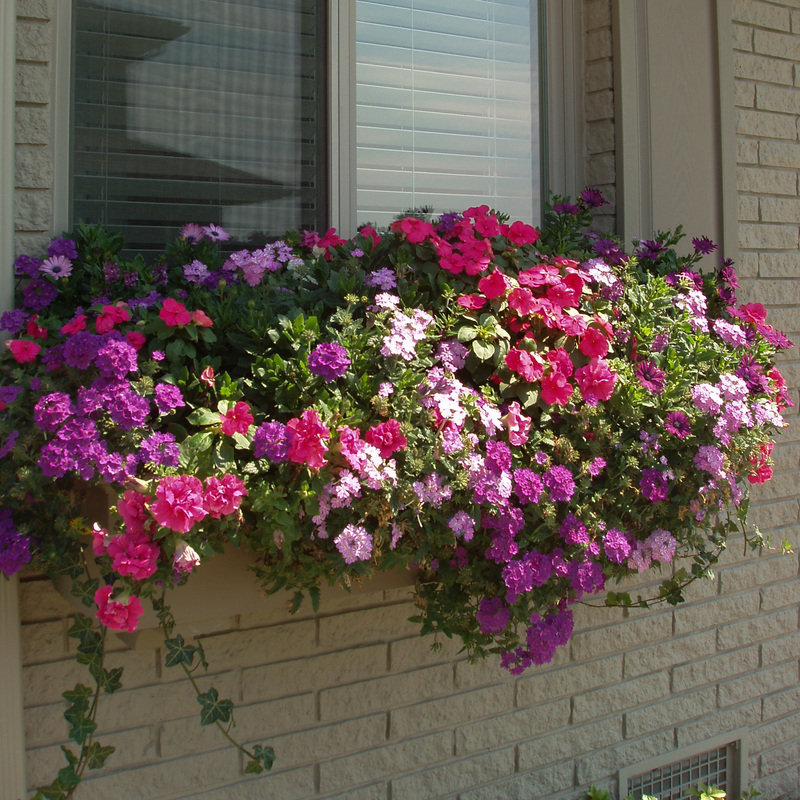 Window boxes look great in every style of home or garden. What are you planting this year? Leave your ideas in the comments below!